Young Mittens about to get his daily dose. Well Catnip is a perennial herb from the mint family Labiatae. It has a square, hairy stalk with typically green/grey coloured heart shaped leaves that have scalloped edges. Flowers grow in spikes, reaching 1/2 inch in length. It is best known for its ability to get cats high. The active ingredient that causes a high in cats is an essential oil called nepetalactone, which can be found in the leaves and stems of the plant. Other constituents include acetic acid, alpha and beta-nepetalactone, citral, nepetalactone, geraniol, dipentene, citronellol, nerol, butyric acid, valeric acid and tannins. When a cat smells catnip it usually licks, chews, rubs against and rolls around on the plant, as well as salivates and meows. Basically its like a (soft)drug to cats. This reaction lasts for about 5 to 15 minutes, and then the cat loses interest and needs about two hours of “reset” time before it can have the same response. If a human exhibited these signs, we would likely be concerned, but most cat owners are comfortable with their feline’s recreational drug problem. Not all cats will go crazy for catnips. Roughly one out of three cats does not respond to catnip. However, two out of three will go totally mental for it, ( These numbers are an average as the research differs from person to person depending on who you ask ). 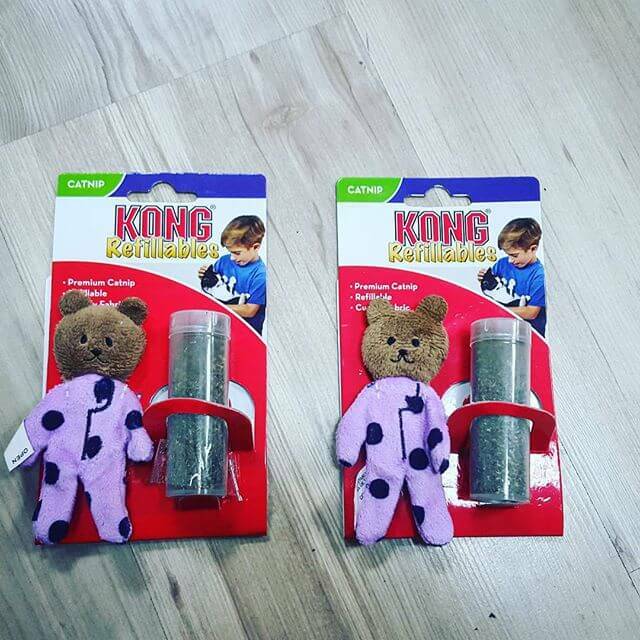 Little CatNip bears. So much Cute! Sometimes cat-toys got small doses of catnip inside, or have been sprayed with the substance. This can help if you have an inactive cat that needs stimulation to play. 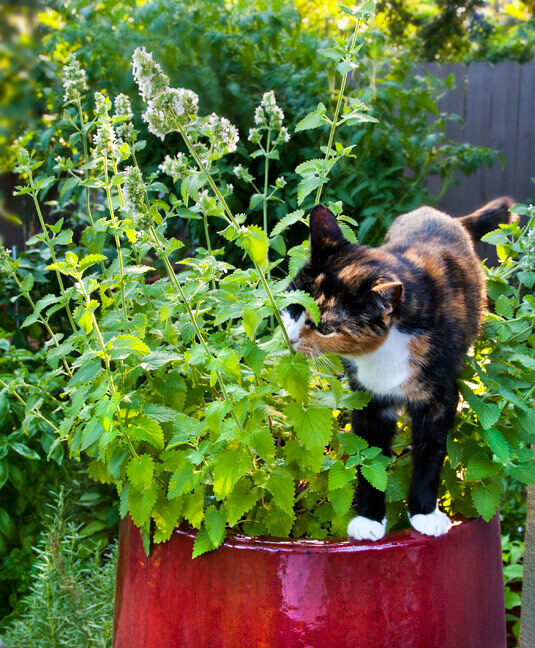 Catnip also has a mild calming effect on people, and folk medicine prescribes it as a treatment for migraines, indigestion, insomnia, colic and toothaches. Some cats also respond to green olives in a similar way that they react to CatNip. It is not clear yet whether they respond to the brine in which the green olives were soaked in and or it is and reaction directly because of the green olives themselves. They would roll the olive around on the floor and nibble on it but they would never really eat it and they would drool, meow and act drunk. It’s clear that cats love catnip and some green olives, it’s safe, it’s fun for cats and fun for us to watch those catnip crazed cats. Share your stories with us by leaving us a reply below. Alternatively send us your Catnip funny moments to info@foreverhuman.co.za or share it on our social media platforms!